If there is a single concept that is the driver of much of the Internet’s growth over the past decade – not to mention nearly all of Google’s annual revenue of $25 billion – it is the concept of keywords. 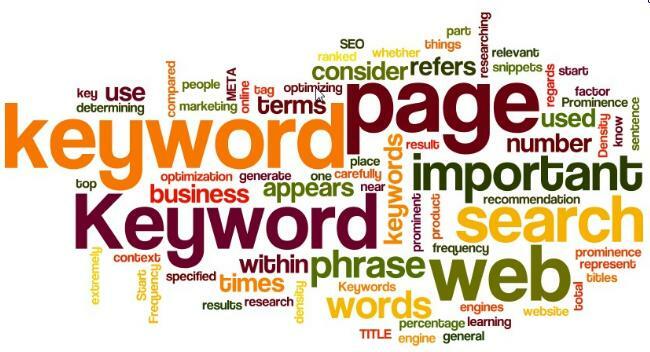 Keywords are what we type in when we are searching for products, services, and answers on the search engines, an act that Americans performed 15.5 billion times in April 2010 according to ComScore, the web research firm. Companies optimize their webpages for search by assigning keywords to those pages. The implications for a business of picking the right keywords are therefore huge. Keyword selection is fundamental to success when it comes to executing a paid search or PPC campaign. It is also integral to a website natural or organic ranking on the search engines. But keywords are not just about SEO. They at the heart of a company’s marketing campaign at its most granular level. Do our customers love our product because it is fast-acting or because it is long-lasting? Are we cheap or the best? Do we provide people with ideas or with help? If you can’t immediately identify the most important keywords for your company, it is doubtful that you can effectively market your products and services to your target audience. The following guide will provide you with 5 ideas to keep in mind when you are selecting keywords on which to build your online marketing. When it comes to search engine marketing, there may be no larger misnomer, no more archaic term than the ubiquitous keyword. In my view, there should be an official migration to the more accurate term keyphrase, but for now I will be forced to use what I consider to be an inaccurate term. My frustration with this term is that it quite simply implies a single word, which is rarely the strategy that we employ when doing keyword research and selection in the service of PPC and SEO campaigns. All too often, people dramatically overthink the most basic keyword research concepts; keyword generation should start simply with answering the question of “What products or services do you sell?” If you sell dog food online, the root words dog and food alone would be very poor keywords because on their own, neither dog nor food do a remotely good job at describing what you sell. Though this example makes it obvious, many times we have to fight through our urge to include those bigger, broader root keywords. Now let’s look at a trickier example—one where the root keyword arguably does a good job describing what we are selling. Say I own an online jewelry store that sells all types of jewelry. To rank highly for the keyword jewelry would probably be at the top of my search engine marketing goals. And yet this would probably not be a profitable keyword that will drive relevant traffic to my site. That is because, from an organic SEO perspective, you are unlikely to rank highly for this term unless you are a huge, highly authoritative site—or lucky enough to be Jewelry.com, knowing that Google rewards keywords that match website addresses. In this case, you would do well to go after more specific keywords such as gold jewelry, silver necklace, or women’s Rolex watch. Not only is the competition for these terms less fierce but, from both an SEO and a PPC perspective, those more specific keywords are going to have a significantly higher conversion rate to purchases on your site. Sometimes we refer to those root keywords as “vanity keywords,” because if you do just one search to see who seems to be winning the space, you are likely to pick the single broadest keyword and see who comes up ranked highly. In nearly every case, however, we have found it to be more successful and deliver a significantly better return on your SEM investment by focusing on the hundreds or even thousands of more specific keywords that more closely match the services, products, brands, and locations that you sell or serve. This is in my opinion the best little secret of everyone’s favorite search engine: the Google Wonder Wheel. Released about a year ago but virtually unknown compared with Google’s much more visible search tools, the Wonder Wheel can be accessed by doing a search and then selecting “Wonder Wheel” under the filter options on the lefthand navigation. What you are presented with now is a visual representation of the way that Google groups together keywords. (Indirectly, you can also deduce how users themselves perceive search terms.) This alone can become the basis of your PPC and SEO keyword research. Starting with the search term dog food, I see related more specific terms like dog food reviews, dog food comparison, and dog food brands, which can help identify other keywords to focus on. Then, clicking on dog food brands, the search engine automatically expands that keyword to be another hub, with more specific keywords related to dog food brands such as nutro dog food, Purina dog food, and so on. At my comapny, Wpromote, we use this tool to help shape overall content strategies. Continuing with the dog food example, we can see that ratings, comparison, and reviews all were all grouped as closely related to dog food in general, implying that people that are searching for dog food are very interested in the comparison and review side of things. So from a content strategy perspective, it would be a very powerful takeaway to include a heavy emphasis on customer ratings, third-party reviews, and side by side comparisons to help the consumers make their dog food selections while shopping on our site. One concern we hear frequently is whether it is beneficial or harmful to repeat keywords. In other words, should we vary keywords (dog food, puppy food, and Purina) or repeat keywords (dog food reviews, dog food comparison, and dog food rankings.) The short answer is that the repetition is just fine, as long as the meaning of the phrase as a whole is sufficiently varied. In other words, dog food and dog food online are basically synonymous, and the content that one might expect to find associated with both keywords is the same. However, dog food reviews and dog food comparison indicate somewhat different content and therefore are appropriate to be used in tandem as keywords. The more important concept to keep in mind is that you want to choose keywords that best relate to the content present on a web page and on a website; if you don’t have a dog food comparison matrix, then don’t bother including comparison-related keywords; you are misleading your users, and certainly not fooling Google. So in an ideal world, you do have a comparison section, a reviews section, and a rankings section, housed on different pages or sections of your site, with each one tagged with the appropriate keywords. Correspondingly, your SEO and PPC search engine marketing efforts should that content by driving review keywords to the review pages and so on. Keywords should guide your overall content strategy. We have referred to this concept several times in the preceding tips, but it is important enough to leave as a final guiding paradigm. Conventionally, we think linearly about content and keywords; we build a website, and then launch search engine marketing campaigns to drive users to our content. That approach has its limits. When we think about strategy at Wpromote, we think about a circular process; since our keyword research reflects both what users are seeking and the way that the search engines (particularly Google) “think” about keywords, we let that help to drive our content strategy. Put differently, to be phenomenally successful, we seek not to take static content and try to pry greater results from it; instead, we leverage the existing needs of the users, and use that knowledge to help us create the best possible user experience. That, in turn, will be rewarded with higher rankings, greater traffic, and a higher ROI from our marketing efforts.